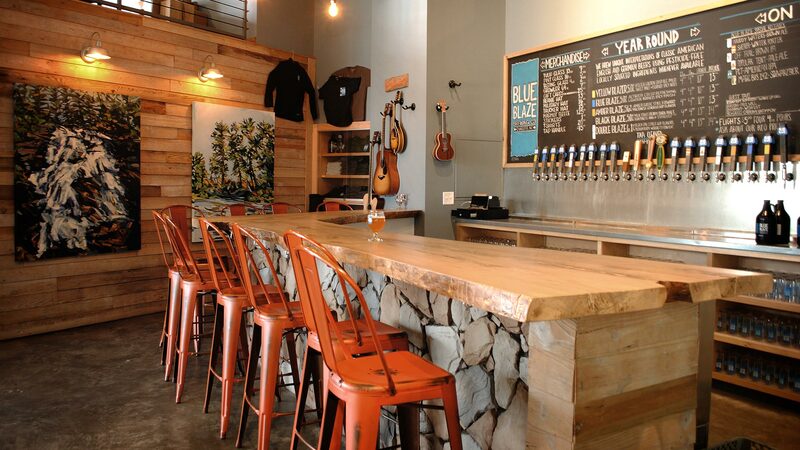 Blue Blaze Brewing started off as a love for homebrewing between neighbors, but it quickly escalated into a mission to leave the rat race and share their creations with the world. 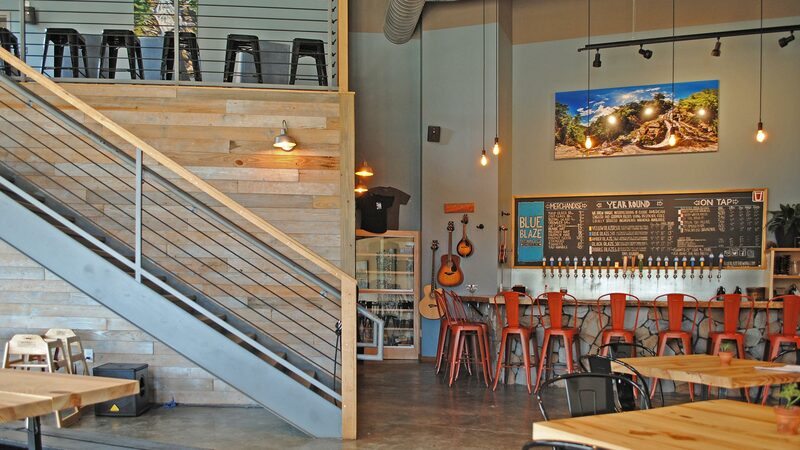 Redline Design Group was commissioned to craft a space that was as attentive to detail as their brews. 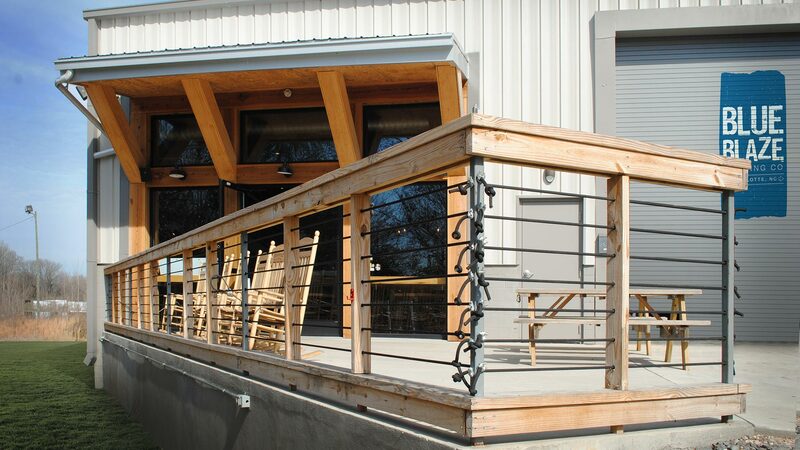 Each ingredient was important: a social gathering space, laid-back atmosphere, no-frills integrity, beer-first mentality and rustic with trail-friendly décor. Redline used as much of the existing building as possible with very strategic design elements. Warm woods, rustic stone, re-purposed furniture and heavy timbers entry beams all help convey a laid-back/slower paced mountain vibe. 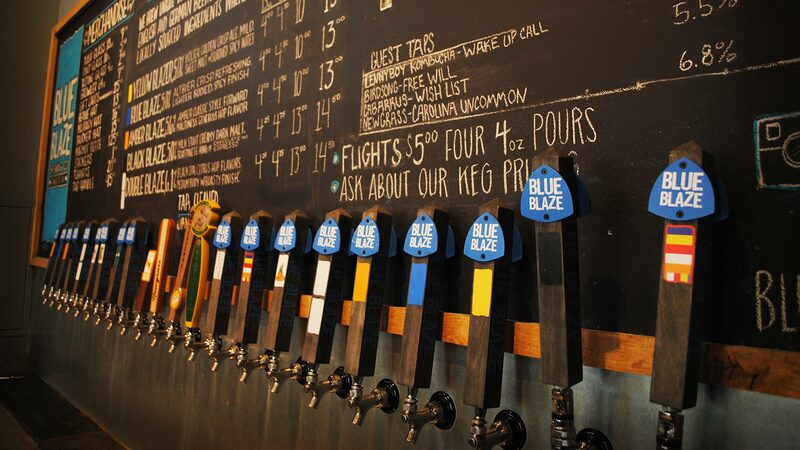 The Blue Blaze logo harkens to the “watering holes” found on the Appalachian Trail. The concept is to get folks to slow down and “hydrate”.